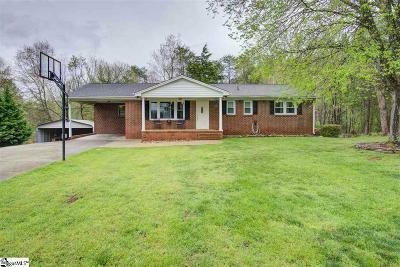 Must see - 3 bedroom, 2 bath home with TONS of privacy! All one level living at it&apos;s best, low maintenance brick exterior. Lots of hardwood floors! Check out the unfinished basement - great for storage, workshop or future expansion. Schedule a showing today for this convenient space located minutes from downtown Greenville. These are so rare at this price point, don&apos;t miss out on this one!